The modern British Army is a mess. I say this because it needs stating up front, plain and clear with no ambiguity. The Army is a mess. 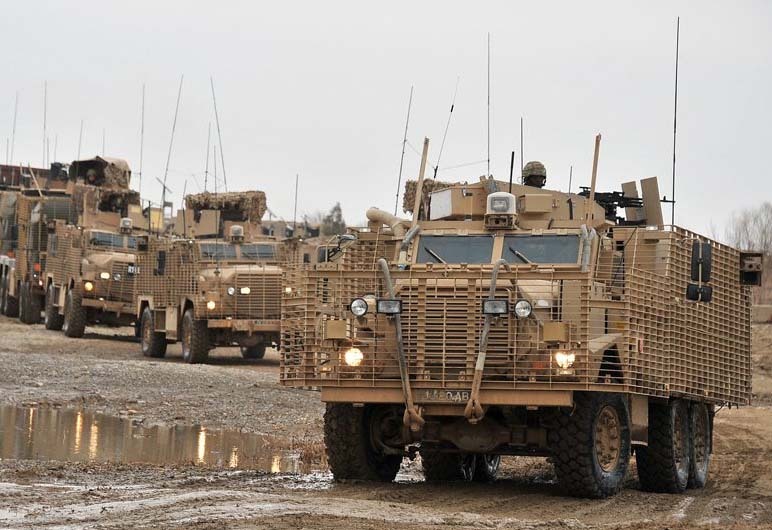 After more than a decade of high-tempo operations across two theatres, Afghanistan and Iraq, we are now left picking up the pieces of wars which shattered the Army’s preconceptions of their role and the force structure needed to carry it out. Having built, over the space of that decade, an Army that could sustain a large-scale enduring combat commitment the UK now finds itself in possession of a force that it cannot realistically use. The protracted ‘wars of choice’ of the first decade and a half of the 21st century are likely over; the political will to wage them is almost entirely spent. Any future UK involvement in such conflicts will, if we have a choice, be through air and sea power. If necessary this may be coupled with a small land contingent, made up of advisors and Special Forces. This political environment, it would seem, is Kryptonite to the Army. They are trapped between a mass of modern equipment designed to fight another, politically unthinkable, counterinsurgency war and the aging remnants of the ‘heavy’ Army left over from the end of the Cold War. 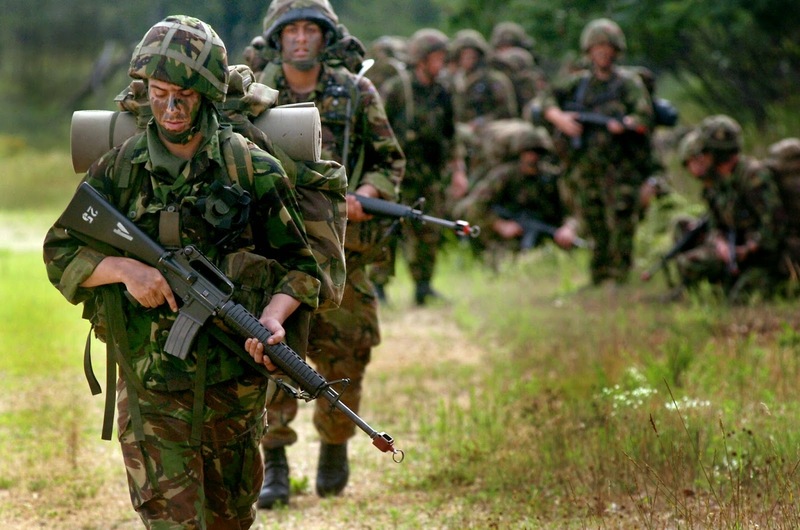 The modern British Army is stuck in limbo without a clear role or coherent structures to fulfil it. Nor does the money or the political will exist to re-equip the existing force to the standard they wish to achieve. A heap of other problems are piled on top of this, from the old issues of the ‘cap-badge mafia’ (political constituencies within Parliament who would make wholesale reorganisation quite difficult) to the lack of ‘war stock’ equipment and the paucity of supporting arms relative to the combat arms. The obvious solution is, of course, simply to cut the size of the Army once again, to ‘cut your coat according to your cloth’ and assume that a fully equipped army of 82,000 regulars and 30,000 reservists is neither affordable, nor an especially useful tool for the UK to possess. The ‘optimum’ figure occasionally mentioned for such a smaller army is usually placed in the region of 60-65,000 regular soldiers. 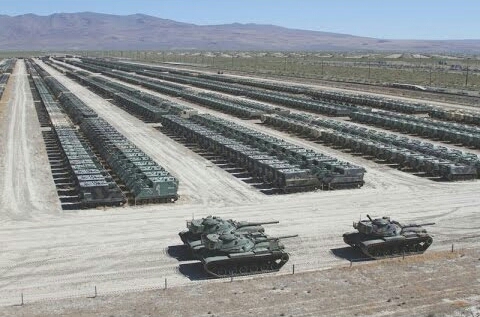 This would, the line of thought goes, allow the whole army to be provided with an adequate amount of modern equipment to fully remodel them to suit the nation’s needs post-Afghanistan. What the nation needs of the army in this scenario is a little less clear. Usually accompanied by a degree of hand waving and suggestions which vary wildly from a light intervention force akin to International Rescue to a renewed (but much smaller scale) British Army of the Rhine sat somewhere in Eastern Europe as a deterrent to the Russian Hoards. The reason why these suggestions appear to vary so much is because, simply, neither the country nor its political leaders or the Army know what they need from it. Therefore we’re left in the rather uncomfortable position where an arbitrary force size (a deployable division, at 6 months’ notice) has been set out but without the political imperative to equip, train or exercise it sufficiently. This is because, as presently constituted, Britain’s political leaders do not see a reasonable use for the formation they have specified as the army’s desired maximum-effort output. To bastardise Dean Acheson’s famous quote ‘the Army has lost a Corps, but not yet found a role’. Given that the political (and therefore the funding) situation is unlikely to change radically in the near future, we must look to alternatives. The presumption underlying the following suggestions is that the Army’s role remains unclear. This assumes that no distinct opponent, against whom the force would inevitably be restructured, emerges. While Russia could constitute such a threat these suggestions follow the present political assessment that it does not, but it may in the future. I must strongly express that these ‘proposals’ are deliberately broad-brush, designed to stimulate thought, rather than to lay out exact structures in great detail. This proposal takes the present manpower/equipment trade-off to the other end of the scale. The size of both the regular and reserve forces would be drastically reduced, potentially to as few as 60,000 in total, in exchange for not only a fully equipped army but one able to spread plentiful cutting-edge equipment across the whole force and to the Royal Marines. The ambitions of such an army could be much more diverse and specialised than the present force, with hugely more money available to be invested in supporting communications, logistics, intelligence, reconnaissance, Special Forces and cyber capabilities. At the ‘teeth’ end of such an Army ‘transformational’ capabilities would have to substitute for manpower in conventional operations and intelligence for mass when fighting irregulars. It goes without saying that the deployable Army would be smaller, and it would struggle to sustain an enduring operation such as those conducted in Iraq and Afghanistan. However, as the core assumption is that the UK will not be involving itself in such operations in the foreseeable future then this may be a risk we are willing to take. Nor would this army last especially long in a conventional war against a peer opponent, but once again the underlying assumption remains that such a war is extremely unlikely and would rapidly result in an exchange of weapons of mass destruction in any case. A smaller army less burdened by manpower costs could pursue fully fleshed out vehicle programmes. A much more radical version of the small army model, the ‘elastic’ Army would be designed with two outputs in mind. First, the provision of a small and capable regular contingent (likely an over-strength Brigade) held at high readiness for rapid reaction. Secondly, the ability to expand significantly within a reasonable timeframe, say five years. This model would not see the Army equipped with plentiful cutting edge equipment, although the regular portion would see the best of what’s available, instead opting for what is affordable, robust, easy to maintain and crucially easier to train on. The end result is a small regular army acting as the custodians of a large war stock and the experience base for a much larger pool of relatively raw manpower. Clearly the reserves would have a much larger role to play in this structure, which would likely necessitate additional legal protections and incentives to serve as a reservist. This model’s clear strength is in its ability to credibly and promptly respond to the emergence of a dangerous peer or near-peer opponent. It also offers a deterrence value through a significant latent capability, the Army equivalent of the reserve fleet. There are still obvious drawbacks though, the regular force remains quite limited in what it could achieve alone and would lack the technical edge to fully compensate for its lack of mass with ‘transformational’ technical capabilities. with a large reserve of equipment. Essentially a refinement and restructuring of what already exists, moving the presently allotted manpower around to fill the gaps which exist in combat service and support roles. This structure offers a bit of everything but still suffers from many of the problems of the smaller structures. While it has more mass, it still lacks the mass to make success in a conventional near-peer war a realistic prospect. It would remain burdened with the present mess of equipment procured as urgent operational requirements for the wars of the 2000s and would struggle to find the money to replace them in a coherent or timely manner. The same goes for what remains of the heavy army. At best we would be applying a sticking plaster to the problem, keeping the ability to deploy a theoretical Division under the assumption that future developments will lead to the army being re-equipped in a more thorough manner. Muddle through until the money becomes available. It would be easy to dismiss this out of hand as a pointless fudge, but given a little political backbone and willingness to stand up to the ‘cap-badge mafia’ and reallocate some manpower a lot more capability could be squeezed out of the present Army. At this stage it may be rather confusing to see a proposal for a significantly larger army than the present one, especially given the affordability and equipment issues already raised with the ‘reformed HERRICK Army’. The short answer is that a much larger army, say returning to the 100,000 regulars of the 2000s, is simply not possible. The slightly longer answer is rooted in the question of how you would go about equipping it. Clearly a pool of equipment is needed for training and the smaller-scale operations envisaged in the preamble, but beyond that how much is needed? The Army that fought in Iraq and Afghanistan essentially became a two tier force, with those deployed being well equipped and those not deployed being much less well equipped. Would it not be possible to accept adequate equipment for, say, a third of the Army with the equipment moving to the unit which required it? If coupled with ‘off the shelf’ purchases from production lines which are likely to remain open for the foreseeable future then the Army could, in theory, be moved to a much more robust ‘fully equipped’ state within a reasonable span of time without the need for extensive and difficult recruitment. The advantages of such a structure would be in its large but lightly equipped manpower pool, well suited to military aid to the civil power and deployment in peacekeeping and advisory capacities. The weaknesses, however, are also quite evident. 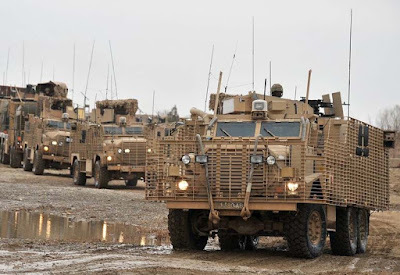 It would still struggle to put a significant force into the field at short notice, potentially having compromised its logistical depth for additional ‘front-line’ manpower and would undoubtedly still be very expensive. but able to fill the gaps fast. I began with the simple statement that the British Army is a mess. Due to the consequences of two protracted wars in the Middle East the political will to use, or equip, the army for large scale operations does not presently exist. However, that does not mean that this will be the case forever. 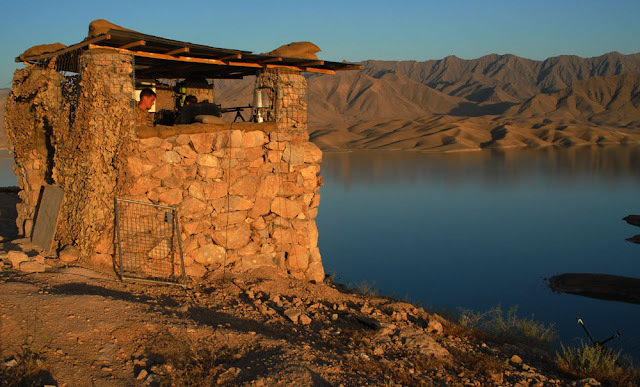 The structures I have roughly sketched out all attempt to strike a balance between the perceived needs of today and a longer-term requirement to hedge against the emergence of a serious unforeseen, misperceived or underestimated threat. There is no ‘optimum’ solution, because there is no clear threat against which the army can be measured and designed. Too much depends on the personal views of commentators to chart a clear course forwards. In this I hope to have outlined some ideas and stimulated some thought rather than offering concrete answers, because at present there are none to be found. Great article and a discussion which needs to be had in public. The fascination for manpower numbers has blighted the recapitalisation of the army. Simple really. Something needs to change. Top work.